Karimnagar district known for its huge reserves of Tan Brown, Maple Red and Coffee Brown varieties of granite, is losing its sheen following the steep decline in export to China, which is the main consumer. Following the restrictions imposed by China, the granite exports have plummeted considerably over the last few years. Gone are the days when more than one lakh cubic metres of granite per month was exported from Karimnagar district to China. Now it is not reaching 10,000 cubic metres per month. Against a total of 160 quarries, hardly 60 are excavating granite now. The industry, which used to provide employment to over 1.5 lakh skilled and unskilled migrant labourers from Chhattisgarh, Odisha, Uttar Pradesh, Tamil Nadu, and West Bengal, had dwindled to less than 60,000 and they too were employed in the granite polishing units on a temporary basis. The crisis in the granite sector had cast its shadow on other sectors such as hotel industry, owners of lorries and dumpers, and also railways. 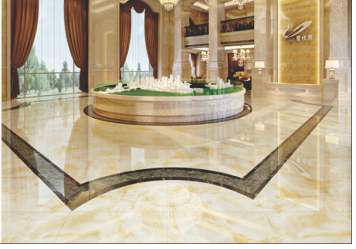 Several star hotels, which were occupied by the representatives of China to purchase the local granite, have also lost business with steep decline in occupancy ratio. The decline in exports to China has become a cause of concern for owners. More than 70% granite quarries have stopped production and the machinery remains idle causing huge loss to the owners as they were unable to repay loans. The industries have urged the government to reduce the royalty tax from the existing ` Rs.1,850 and `Rs.2,000 per cubic metre to `Rs.1,500 per cubic metre.